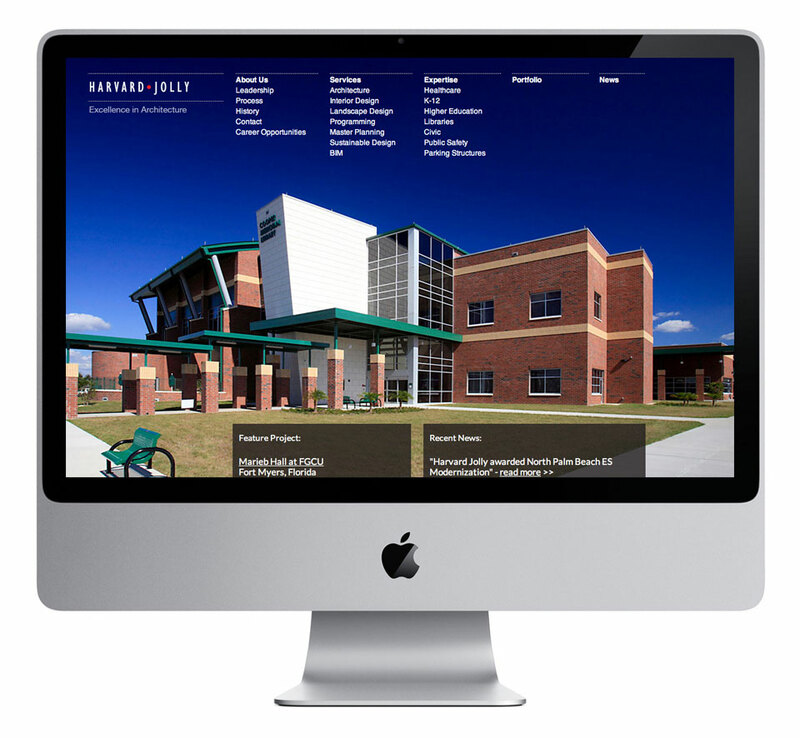 The Pinstripe team was commissioned to develop a website for Harvard Jolly Architecture. It was necessary that the new site give visitors access to their vast portfolio, as well as details on their services and expertise in architecture, interior design, landscape design and more. Harvard Jolly needed a site that showed off their work, was easy to navigate, and was built in such a way that they could maintain it without any outside assistance. It was very important that the functionality of the site mirrored that of the buildings designed by Harvard Jolly. The innovative design of the navigation ensures that the site is as easy to use as one of their buildings. The heart of the site is great photography that illuminates their talent, and informative copy that serves to support the photographs. This innovative concept resulted in a site that was visually bold, easy to navigate, and a valuable resource to demonstrate the talent and expertise of Harvard Jolly’s architects. * Note: An in-house artist at the firm has recently changed their site. Pinstripe did NOT create the current site at their domain. Our work is located here.